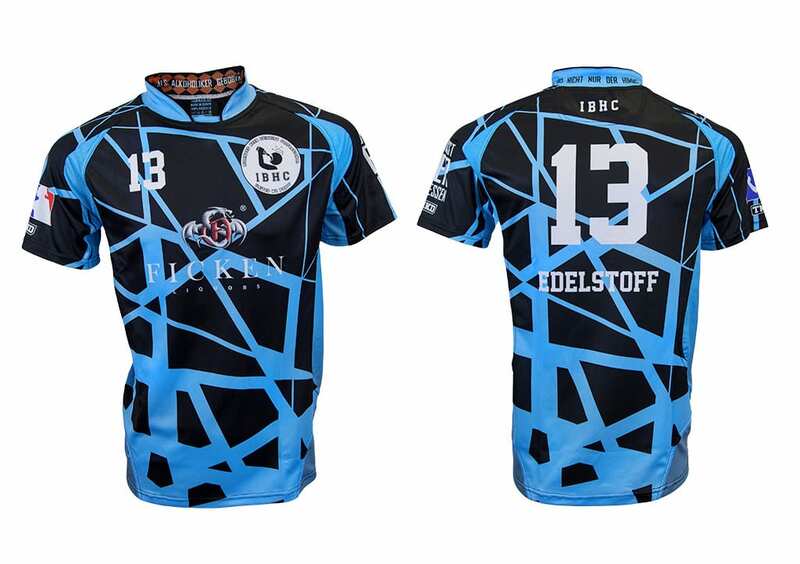 Handball jerseys, team wear | Bison Sportswear. Blood, sweat and…the ball. Handball is harsh game, offering a view of the battle of the strong hands and quick feet. Whether playing handball on a recreational or professional level, running an hour on the field with only a few breaks is not just like that. In order for your performance to be 100%, you need to have a suitable and comfortable jersey. Our company is pleased to offer it to you. 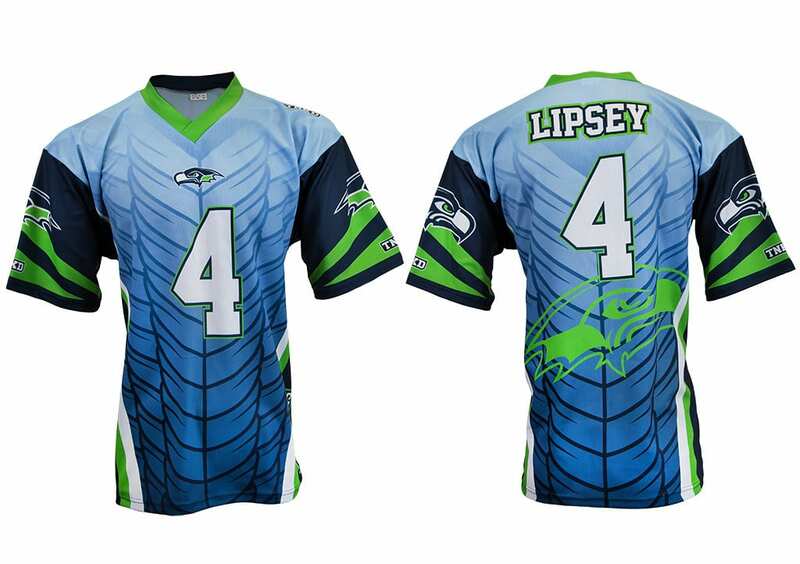 An individualization of team jerseys that will make it impossible for many opponents to get you out of their mind for a moment is a matter of course. 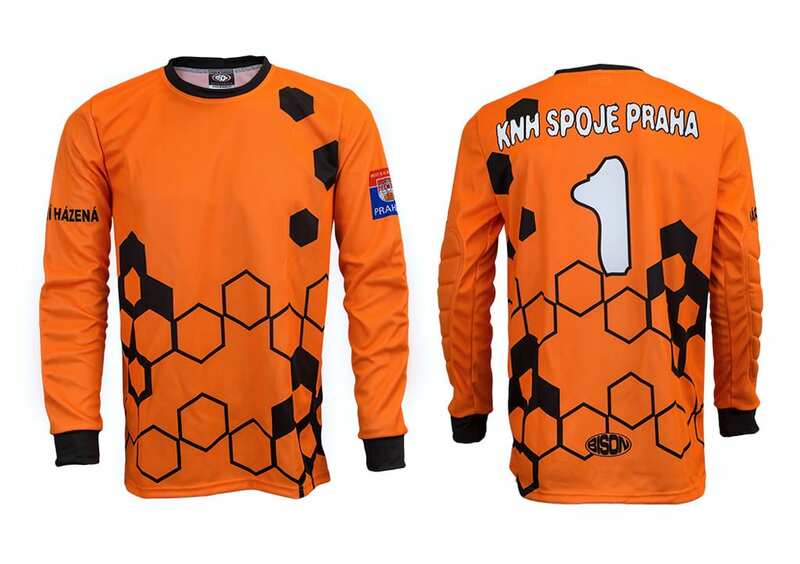 The handball jersey pattern is manufactured in two versions – the men’s (classical or raglan) and the women’s (classical or raglan anatomically adapted to the female body). You can also choose from new, attractive adjusted patterns. Naturally, you can choose the type of collar, fonts and numbers according to your wishes. The basic jerseys size can be determined using size tables. 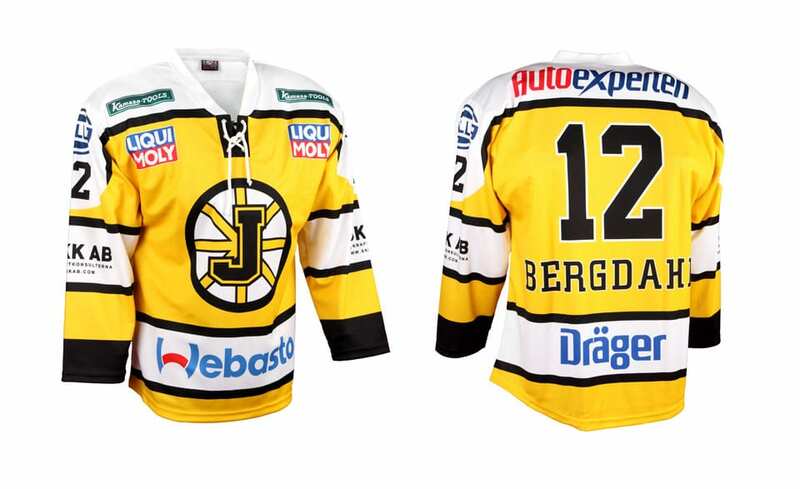 The best materials of jerseys are: CANADA 155 gr., CoMo 160 gr., LION 160 gr., KOSTKA 145 gr., BÁRA 145 gr. and O-Zone 170 gr. Golf 205 gr. material is an interesting option. It is a comfortable, sublime, elastic material of close-fitting pattern that ensures excellent sweat removal, thus helping to maintain a constant body temperature. More information about materials can be found here. And the price? Basic information can be found in price list. Handball shorts and shorts can also be chosen and ordered separately without the jerseys. However, if you need a complete sporting set, we recommend choosing a jersey to which we will prepare a correction of the shorts in the same design without any commitment. Handball shorts are manufactured in two versions of the pattern. Men’s (classic) and women’s (elastic). You can choose from new, attractive adjusted patterns. The best materials of jerseys are: CANADA 155 gr., CoMo 160 gr., LION 160 gr., KOSTKA 145 gr., BÁRA 145 gr., GOLF 205 gr., O-Zone 170 gr. More information about materials can be found here. The size can be determined using our size tables. And the price? Basic information can be found in price list. Pokud si nevyberete žádný model dresu z naší nabídky, nebo požadujete dresy v originálním designu, můžeme v našem grafickém studiu společně s vámi vytvořit dresy podle vašich představ. Příprava grafického návrhu je zdarma. Samostatná výroba se vždy uskuteční až po odsouhlasení vzorků nebo tiskových náhledů. V případě ztráty nebo zničení vašich současných dresů vám rádi zkompletujeme neúplné sady zhotovením podobných dresů tak, abyste i nadále mohli tyto dresy používat.